...A bill to legalize mixed-martial arts will likely be considered by the conference after the budget is complete. “After we pass the budget and come back from Easter recess, we’ll probably conference MMA and if there’s enough support from the conference, we’ll bring it to the floor for a vote,” he said. The conference the Speaker is referring to is the closed-door session where 100 Democrats meet and hash out which issues they plan on tackling. 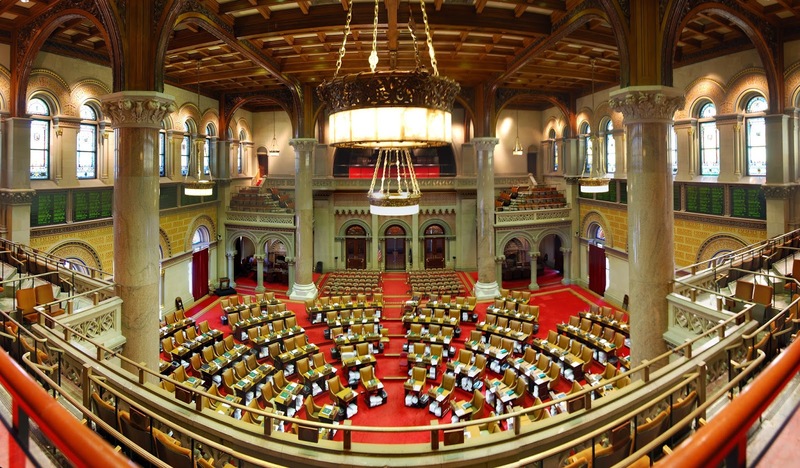 An informal vote is taken, and if three quarters of those present are in favor, the bill in question gets to go to the floor of the Assembly, where both Democrats and Republicans get to weigh in. In prior years, insufficient support within the conference is what kept the MMA bill on ice; however, the recent shift in the political landscape likely means that ice has melted. April 21 is the day the Assembly returns from Easter recess, so expect some definitive action on the bill after that.